Looking for an easy crop that doesn’t take up a lot of space? Grow garlic in containers! Garlic is one of those crops that, in my opinion, everyone should be growing! Not only is it incredibly useful in the kitchen, it’s also super easy to grow, and takes up very little space. You can slot it in along borders, or in little ends of garden beds where you don’t have the space for other things. Even if you don’t have any outdoor garden space at all, garlic can easily be grown in containers. 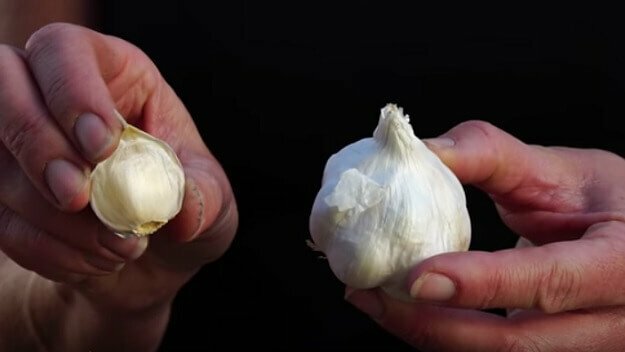 The video below explains how to grow garlic in containers on your patio. Fall is the time to plant garlic, so if you don’t have yours planted yet, now is the time to get it done for a great garlic harvest next summer!